The mayor's main rivals issue statements about newly released police documents—or at least most of them do. A number of Rob Ford’s rivals in the election race have issued statements about the police documents released today—which contain a description of the notorious crack-smoking video and provide more details about the mayor’s relationship with Alessandro Lisi. The ongoing revelations about Mr. Ford again show why he’s no role model for our children. Our city is tired of the distractions and needs a new mayor. Tomorrow, I will continue to release specific ways we can get people moving faster—now. Because Mr. Ford’s greatest failure as mayor is failing to plan for and invest in practical ways our city can do more for families, create jobs and get people moving faster. The ongoing saga is distracting our city, and creating a stalemate at City Hall. It is time for us to move forward, and elect a new mayor who will make Toronto more livable, affordable and functional. Regardless of any disclosures that may emerge from ongoing legal proceedings, David Soknacki believes it’s already clear to Torontonians that Mayor Rob Ford must be replaced. The people of Toronto deserve leadership that represents their best interests and helps build a city we can be proud of. 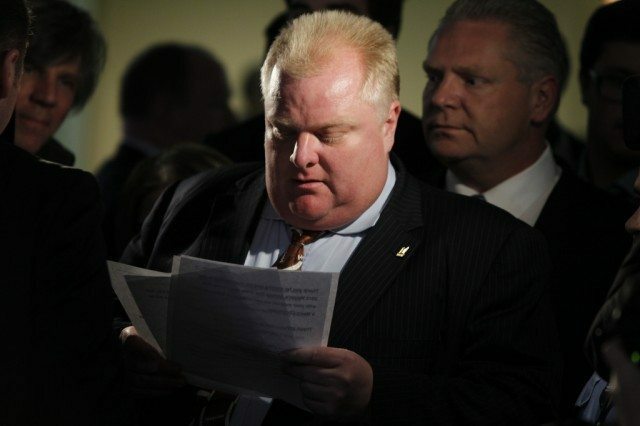 We have no comment about Rob Ford documents at this time.